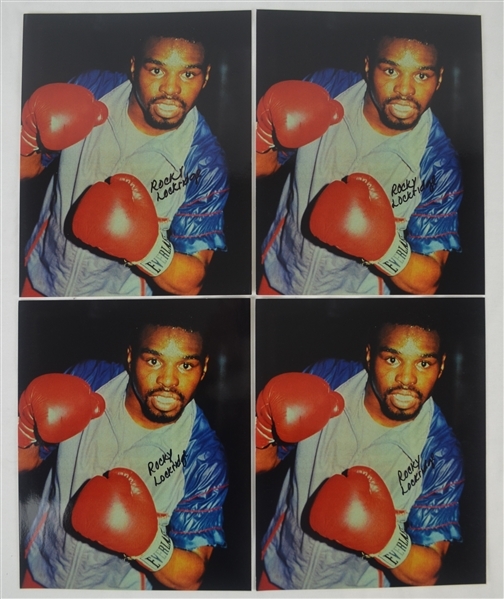 Collection of 4 autographed 8x10 photos, each of which have been signed by boxer Rocky Lockridge in black marker. Lockridge is known for handing Roger Mayweather his first defeat—a first-round knockout in just 98 seconds—earning him the WBA and lineal super featherweight titles. 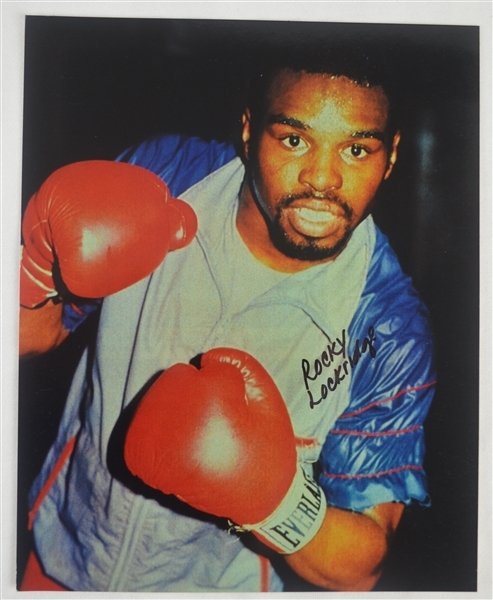 He later won the IBF super featherweight title.